Salmon Arm is a beautiful City nestled into the shores of Shuswap Lake. With a population of almost 18,000, we are the perfect size City. We have all the amenities you need – dining, shopping, arts and recreation. We are fortunate to have a hospital with top-notch doctors and schools with passionate teachers. Our community is friendly and supportive. Salmon Arm is aptly named the 'Gem of the Shuswap' and is located midway between Vancouver to the West and Calgary, Alberta to the East on the Trans-Canada Highway. Nestled between Mt. Ida and Shuswap Lake, it is a destination of choice for those looking for four-season recreational pursuits, a large clean lake, and a friendly City with ample amenities. 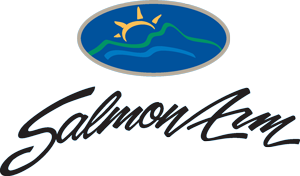 Salmon Arm is the central hub for the Shuswap serving as the economic and commercial center of the area. The Shuswap includes Salmon Arm, and the communities of Blind Bay, Eagle Bay, Sorrento, Tappen, Sunnybrae, North Shuswap (Scotch Creek, Celista, Magna Bay, Anglemont, St.Ives) and Sicamous. The Shuswap is a destination of choice for those looking for endless recreational opportunities and outdoor enthusiasts can find something for each season, from hiking, biking, lake activities, skating and cross country skiing. There are also 3 downtown parks, a community trail system, interpretive nature center, water parks, geocaches and a free public boat launch. House boating is a magical way to experience Shuswap lake. There is an abundance of trails for hiking, biking, skiing, running and equestrian pursuits and easily accessible areas to enjoy trips on your snowmobile and ATV. Shuswap Lake has over 1500km of shoreline providing years worth of exploring! Access to the lake is easy via free boat launches in downtown Salmon Arm, Canoe and surrounding areas. Canoe Beach is a fabulous spot to cool off during the hot summer months. Whether you are looking for a laid-back lifestyle, a friendly community for retirement, or one full of excitement and adventure, Salmon Arm has it all.